From initial design to production and dissemination, colour is central to the manufacture and use of cloth and clothing. This unique international conference will explore the various and multifarious relationships between colour and textiles, from dyeing and distribution, to chromatics and conservation. Through a combination of papers and workshops, it will demonstrate new and continuing research through historical, theoretical and practical investigation, drawing on interdisciplinary expertise that includes history, archaeology, conservation, sustainable futures, design and material culture. The conference will be held over two days and in two locations: the University of Glasgow and the University of Edinburgh, Edinburgh College of Art. These two cities represent the diverse heritage of textile manufacture and design in Scotland, from the industrial scale Turkey red dyed and printed cottons, to the artisanal tapestry workshop of the Dovecot and design education. The conference will celebrate the differences of these two cities, as well as drawing on what unites them and the wider world through the history and current practice in colour and textiles. Day One will be held in Glasgow and will consist of papers that deal with the history and theory of colour and textile design, production and use, in addition to contemporary practice within the field. On Day Two we will hold complementary and exploratory hands-on workshops and site visits in Edinburgh, exploring the history, theory and study of textiles through practical and innovative means. Limited student bursaries will be available, more details to follow. Titles and abstracts (200 words) for papers and/or workshops, should be sent to Sally Tuckett and Lindy Richardson by Monday 15th January 2017. Full registration details and bursary information will be available in January 2017. This is a mainly voluntary post with a small remuneration - £1000 per issue per year. Each year the Editor chooses and gathers papers from the previous annual conference, and with the help of the conference host prepares these for publication, together with research papers, exhibition, book and web reviews. Thanks to the hard work of previous editors JME now has a strong profile. If you are interested in taking on the role of editor please apply by sending via email a CV and a covering letter simultaneously to the secretary and chair of MEG by Friday 28th October 2016. The covering letter should give details of your editing and publishing experience to date and tell us why you wish to take on this rewarding challange. We hope to appoint the new editor by the 8th December 2016 and the current editor, Sarah Bryne, will be available for a handover period, to assist with JME 30. 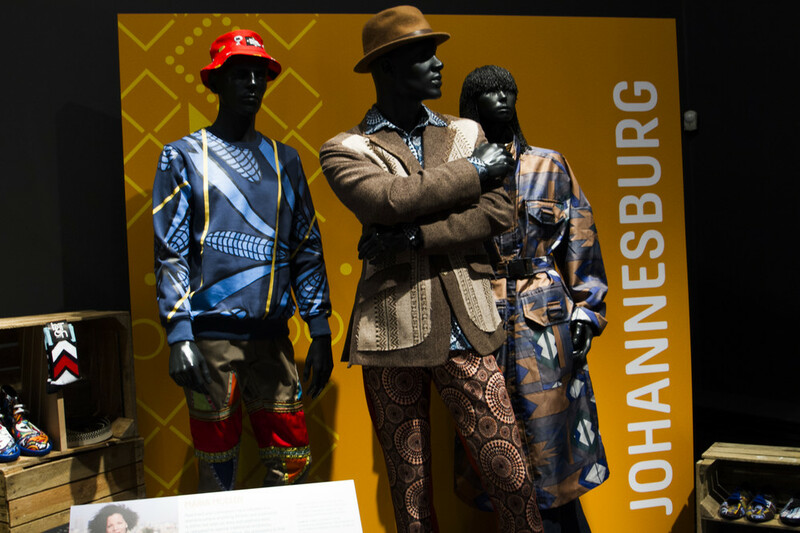 Panels will focus on the construction of African fashion histories; the transmission and translation of African fashion identities; new directions in collecting and curating African fashion and the evolution of new platforms for the dissemination of African fashion. Speakers include Victoria Rovine (author, African Fashion, Global Style), Carol Tulloch (author, The Birth of Cool: Style Narratives of the African Diaspora), Christopher Richards (curator, Kabas and Couture: Contemporary Ghanaian Fashion), Erica de Greef, Angela Jansen (author, Moroccan Fashion, Design, Culture and Tradition), Heather Akou (author, The Politics of Dress in Somali Culture), Jody Benjamin, Hannah Pool (author, Fashion Cities Africa, curator, Africa Utopia) Helen Jennings (author, New African Fashion) and others. Conference fee: £50 full price, £35 concessions. 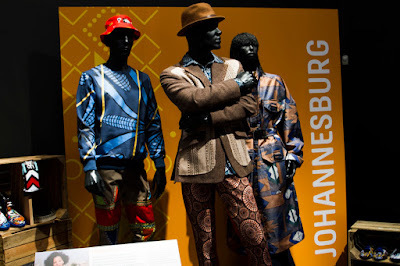 This fee includes tea and coffee and, following the conference, an evening reception with the opportunity to view the exhibition Fashion Cities Africa. Detail of Ainu coat, Japan. Made from brown and blue striped cotton trade cloth and decorated with European lace. Pitt Rivers Museum 1892.56.12. Copyright Pitt Rivers Museum, University of Oxford. The 2017 conference theme addresses cloth and costume. Cloth is a unique technology: Light and flexible but presenting large surfaces and capable of taking innumerable colours and structures, it covers and divides things, reveals and connects them. Clothing and costuming the body - to protect and conceal it, to make it beautiful or terrifying, to transform or display its many identities – bring persons and statuses into the performed social world. Since remote prehistory, cloth and costume have both created demands and opportunities for humans to devise many of our most ingenious, delicate and technically complicated artefacts. From Inuit gut parka to ancient Nazca textiles, traditional West African grand boubou costume to Maasai beadwork, Scottish plaid to Italian tapestries, Persian rugs to Indian sari to Balinese dance masks, Bismarck Archipelago masquerade puppets to Samoan barkcloth lavalava; the cloth and costume in our World Cultures collections are immensely rich, diverse and culturally significant. In recent centuries, cloth and costume have also become important material sites for the contestation of identities and moralities, economic globalisation and colonial acculturation. 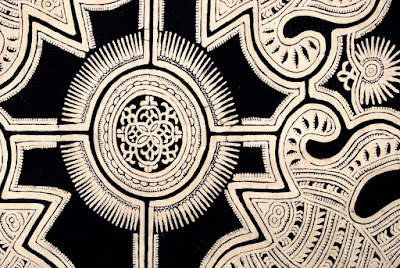 From the worldwide trade in European mill-woven, chemically dyed and printed textiles, to the battles of Christian missionaries with imagined states of immoral native undress, to the recent conflict between the French government and wearers of hijab and burkini, the globalisation of Western dress conventions has powerfully impacted on the world’s other material cultures. Detail of the design on a batik jacket, part of a girl's costume, China. Pitt Rivers Museum 2000.34.3 .1. Copyright Pitt Rivers Museum, University of Oxford. How, then, do we weave together these many strands in the ethnographic museum? What is the current state of research into world cultures cloth and costume collections, and what new approaches are we developing to understand them better? How are historical textiles and costume being curated in the world’s museums, and reimagined in the world’s contemporary art scenes? Are we engaging with contemporary world fashion, or trapped in perpetuating stereotypical imaginings of an ‘authentically dressed’ ethnographic past that may never have existed? How can we collections manage these challenging objects better? 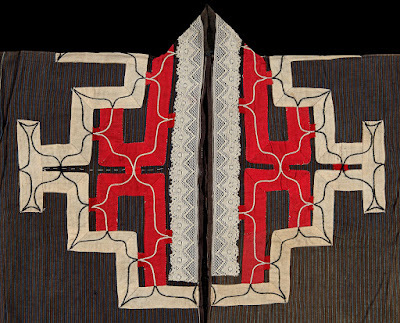 What are the particular conservation problems of ethnographic textiles and costume, and how can we better care for them in the future? How are we exhibiting cloth and clothing in 2017? Are we capitalising on costume’s universal appeal in our displays and education programmes? Titles and 200-word abstracts for papers addressing these and other questions are warmly welcomed from all. Two standard formats are offered to presenters: A full Conference Paper to last twenty minutes, and a shorter ten minute Work in Progress presentation. Please email your proposed title, abstract and format choice (or any queries) to Andrew Mills by Monday 6th February. Full details on registration, accommodation and the programme will be published in the New Year. This project is funded by Humanities in the European Research Area (HERA). It seeks to investigate the paradoxes and tensions inherent in the heritagisation of religious sites, objects and practices within Europe. The project seeks to take theories of heritage and heritagisation into novel directions by linking it to the analytical categories of religion, the secular, and the sacred. The region of East Anglia is historically characterised by a great diversity of religious practices, varying from those associated with well-known prehistoric sites (Seahenge), Celtic sites (Sutton Hoo), and Christian sites of pilgrimage (Walsingham, Bury St Edmunds). In the UK division of this research project, we will examine how such sites are appropriated as religious heritage. The post holder is expected to conduct research on forms of religious heritage in East Anglia, using a combination of fieldwork, literature review and museum research, resulting in the publication of research papers in peer-reviewed journals and an exhibition by the end of the project. Applicants are expected to submit a research proposal of around 500 words, which should include a potential research subject, a research question and outline of methodology. This research proposal will not be a fixed commitment, but will serve as starting point for the development of the research during the first months of the project, in discussion with the Principal Investigator. The project proposal should be submitted alongside the cover letter and application form. This part-time (40%FTE), fixed term post is available from 1 January 2017 to 31 August 2019. Closing date: 12 noon on 3 October 2016. Further particulars and an application form are available on the website or Tel. 01603 593493.